Did dreamy effect thingy with white layer set to screen and then layermask+airbrush if you're wondering, didnt want it to get too blurry so I just did it around uninteresting parts. First version was green, yuck. id love to hear comments good or bad! I think clouds would be better background since he uses shadow posseion jutsu. 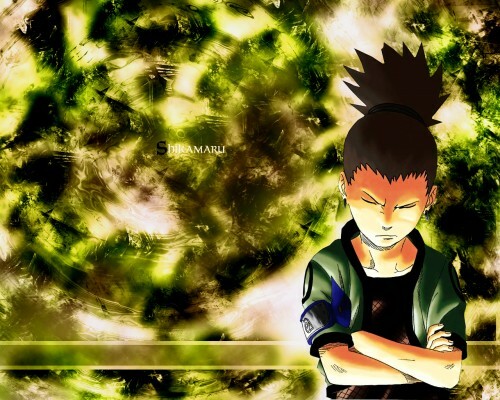 I'm usually not a fan of abstract backgrounds either but it looks great with Shikamaru here. I think it suits him well. Thanks so much for sharing & please keep up the great work! Great Naruto wallpaper! Thanks a lot!